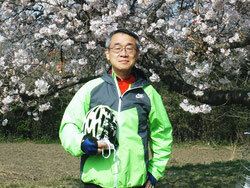 There is a wide green zone called "Minuma" east of Saitama-city. 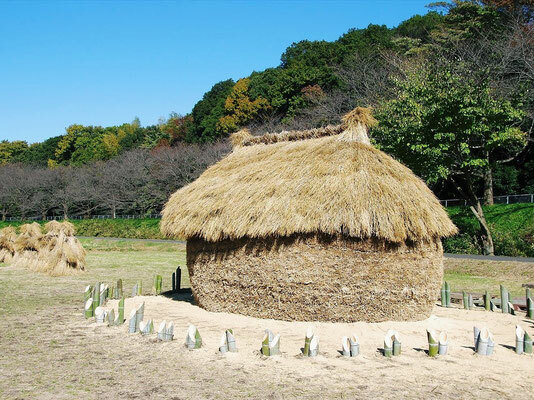 At "Tanbo" or rice paddy fields in Minuma, rice straw mounds after reaping could been seen before. 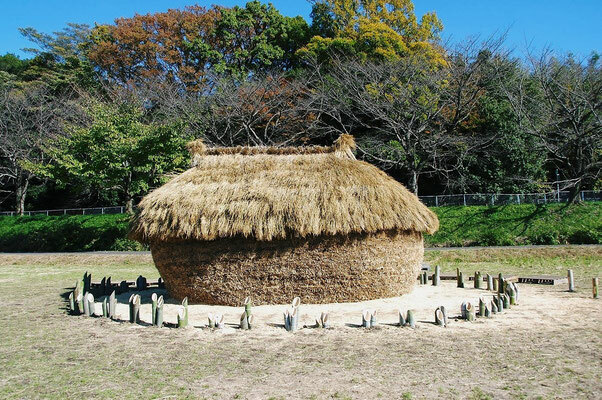 "Wara" or rice straw had been used for various purposes like heating fuel, feeding for farm animals, tatami mat, and farmer's craft works for straw rope, ritual items and some others. 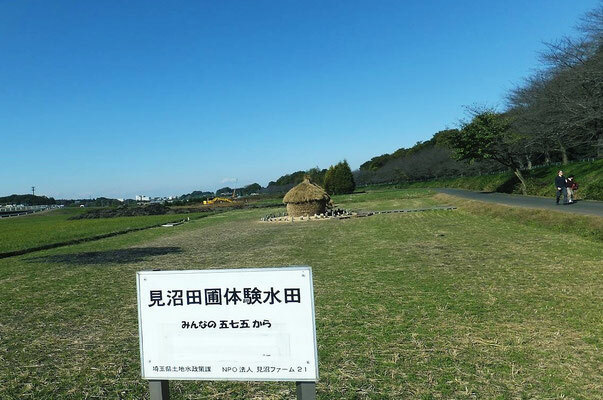 Due to changing styles of farming and living, this "Wara" mound disappeared maybe around 50 years ago. 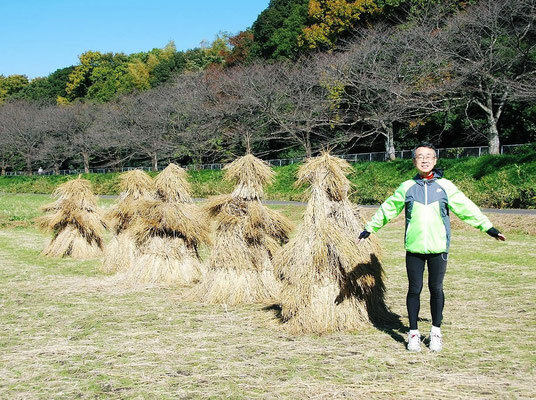 A local Minuma NPO group has started again making this "Wara" mound, called "Funano", meaning boat in paddy field, since 5 years ago. 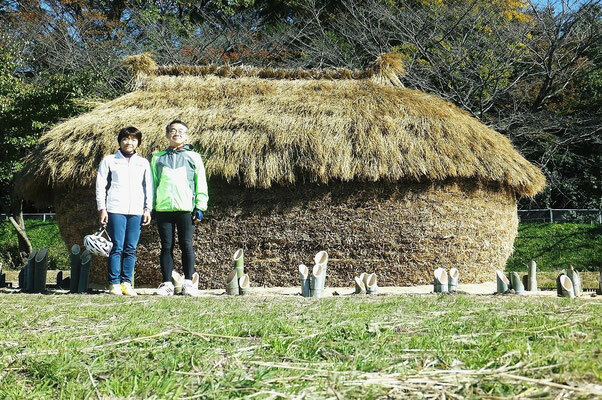 They think that "Funano" can remind people importance of reuse of wasted material and value of traditional rice farming. The mound can be seen by next February. 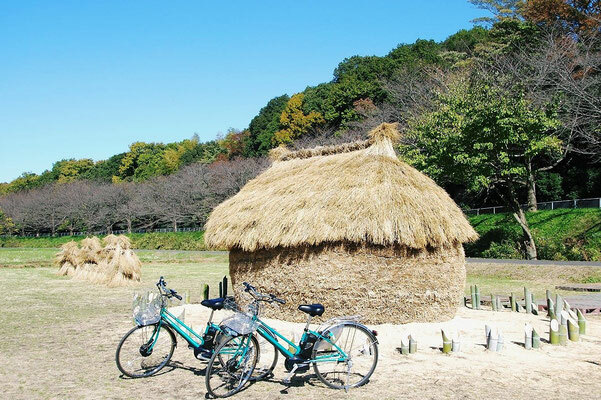 How about visiting this spot with our bike tour of Minuma Farmland and Bonsai Village? What a wonderful post!. I really like this post. Thank you for such unique post.